Up-to-date information is available to write an article. Do you remember the song, Whatever Happened To My Part (The Diva’s Lament)? I will never forget hearing that song at the Shubert Theatre in New York when Hannah Waddingham took to the stage during Act II of Spamalot. Yes, the character had been on stage during Act I, but this song was a highlight and really showed the power and musicality of Hannah. The role was not new to Hannah. 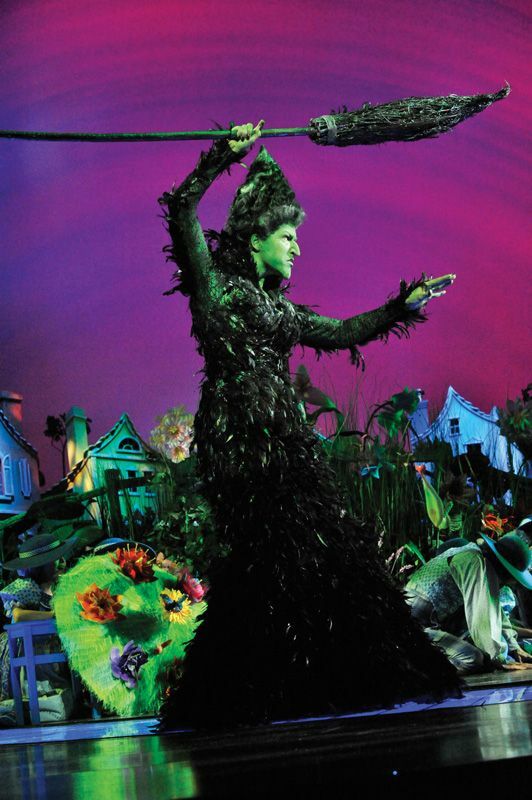 She originated the role in London and received an Olivier Award nomination for her efforts. When Hannah left Spamalot in New York, she returned to her home in London and has been busy the entire time. 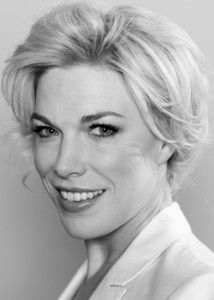 On November 22, 2008, Hannah Waddingham starred as Desiree in the revival of Stephen Sondheim’s A Little Night Music at London’s Menier Chocolate Factory. The production started out at a small theatre, but was so popular, it moved to a larger theatre. Hannah received amazing reviews from all the critics and was nominated for an Olivier Award in 2010 as nest actress in a musical or entertainment for her performance in A Little Night Music. During August and September of 2010, Waddingham portrayed The Witch in a revival of Stephen Sondheim’s Into The Woods at London’s Regent Park Open Air Theatre. I was lucky enough to see The Merry Wives of Windsor at the Regent Park Open Air Theatre a number of years ago. It was an amazing experience even though my mother, sister and I sat in Trash bags in the rain so we wouldn’t miss a minute of the play. Again, Hannah received rave reviews for her performance of the Witch and it took hours for her to get into her make-up and costume! Currently, Hannah is starring as The Wicked Witch of the West/Miss Gulch in the new Andrew Lloyd Webber production of The Wizard of Oz. Follow the yellow brick road over the rainbow and into The London Palladium, the capital’s home of the family musical. Developed from the ever popular MGM screenplay this new production contains all the much-loved songs from the Oscar winning movie score, all the favourite characters and iconic moments, plus a few surprises along the way, including new songs by Andrew Lloyd Webber. Again, Hannah is receiving rave reviews for her role in The Wizard of Oz. This talented lady seems to fit into whatever role she tackles. At this time, Hannah is scheduled to leave The Wizard of Oz in about 2 weeks. I hope she has a chance to take a vacation and relax for a few weeks. It was obvious that Clay and Hannah enjoyed each others company and became good friends. It has been reported that Clay has visited Hannah in London. I would think that they would have a great time talking about the “business” and I bet that they would help each other when needed! I have the recording of Clay and Hannah singing David Foster’s The Prayer at The Easter Bonnet Competition. It is amazing, even with the laughter for the roller skater! Hannah has certainly had a successful career on both the stage and on the screen, and her current role will surely raise her profile even further. Watch out at the next awards ceremony! I am including two videos of Hannah. The first is the amazing performance of The Prayer with Clay Aiken. The second is the sjow stopping song that Hannah performs in The wizard of Oz. Enjoyed watching Clay and Hannah singing "The Prayer". They both did a magnificent job harmonizing with each other. Such beautiful voices! As to the "Wizard of Oz" – Hannah was fantastic with the song/recitation that she performed. The "I want my slippers" exclamation at the end made me laugh out loud. I'm not sure that I would enjoy seeing the play though. Anyone disguised as an exaggerated grotesque person or creature scares the living daylights out of me. Halloween is not my favorite day. Thanks for the "The Prayer" video and also the video peak at a part of Hannah's performance in "The Wizard of Oz". Both Hannah and Clay are indubitably superb actors and singers. I like this idea to pass the time while we wait for news from Clay. I'm so glad to see Hannah doing well and keeping busy. She's so talented. Both those videos are wonderful. Thanks for a great blog! Love reading about Hannah, Thanks! Hannah and Clay seem to have established a great friendship. But then again…Clay seems to keep his friends.. Loved watching "The Prayer" again. Clay is amazing on Broadway, and I would imagine that any Broadway show would love to have Clay as lead singer in any play. He has the most amazing voice…especially "Live". Loved reading your "news" today. Clay and Hannah were magnificent in The Prayer and it was a real joy to see the curtain call once again. As for Hannah, she is an amazing actress and singer and I sincerely hope that she and Clay have a chance to work together again. They seemed to enjoy each other's company very much. Thanks for a great article (as usual). Hannah is very talented. 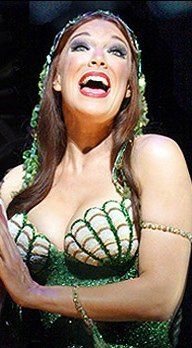 I was fortunate to see her in Spamalot. I wish her continued success in her career. I didn’t have a chance to see Spamalot which is so regretable. This is great; love reading where they are now. Just watched a ton of vids on the Wizard of Oz. and Hannah getting made up. I love Broadway and I pray one day I see Clay there again!! Thanks for doing this. When I saw Spamalot, there was an understudy for Hanna. Boo Hoo. I love seeing Hanna and Clay sing The Prayer. How they can keep singing while a rollerskating nun circles them is too funny! Keep sending news about other actors that Clay has performed with. This site is better than the "official" Clay site or his Facebook page. Thanks musicfan. Error: Error validating access token: Session has expired on Tuesday, 21-Aug-18 16:13:01 PDT. The current time is Thursday, 25-Apr-19 19:00:36 PDT.